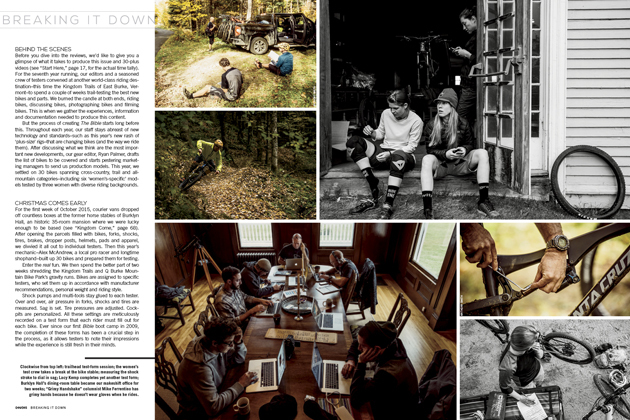 The world's foremost mountain bike gear guide—Bike magazine's 2016 Bible of Bike Tests—is now on print and digital newsstands, providing you with the definitive overview of this year’s most important new bikes and gear. The above video gives a glimpse of what the Bible of Bike Tests is all about—and what you can expect from us in the coming months. Each week on bikemag.com, we’ll be rolling out several “Roundtable Reels” videos featuring candid debates about each bike’s performance, along with clips of us putting them all through their paces at this year’s testing grounds in East Burke, Vermont. Subscribers to our iPad and iPhone editions will get immediate access to all 30 Roundtable Reels videos. For a look at how we test the bikes, check out our process gallery. 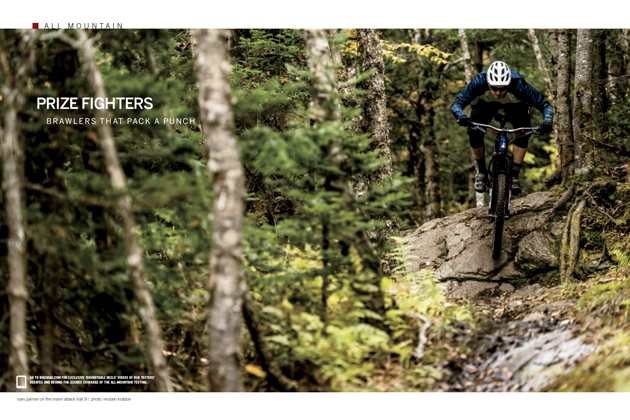 Of course the main way we test the 30 bikes in this year’s Bible is to ride them hard on trails suited to their intended purpose. 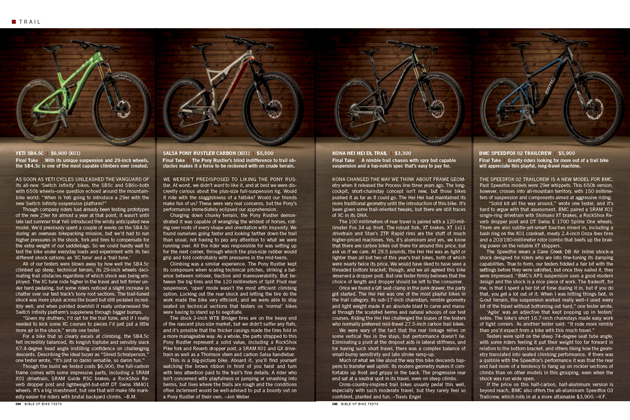 This year we tested eight all-mountain machines, 12 trail bikes, four XC whips and six women’s-specific models. We also bring you this year’s most promising components, with informative reviews of drivetrains, forks, tires and dropper posts. This year’s trail-bike category is stacked with contenders for the crown—including a couple of 27.5-plus models. 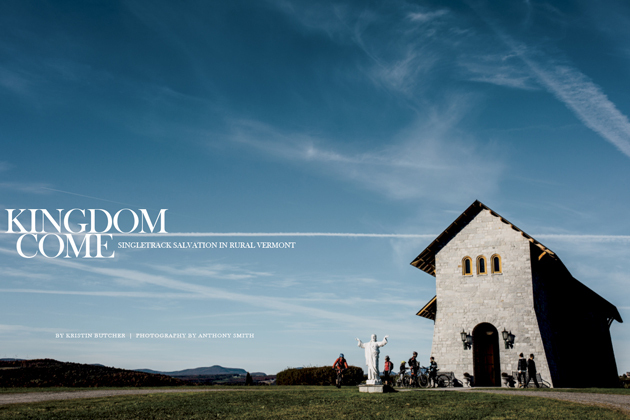 In our main feature, “Kingdom Come,” we examine how one decision made by a single landowner decades ago in East Burke, Vermont, helped spur singletrack salvation for the rural community. We take you behind the scenes of the annual circus of The Bible of Bike Tests.